To be the best in the world of online marketing, you must have a superior lead generation company as your partner. New York City has many marketing companies that can claim to be the top lead generation company. 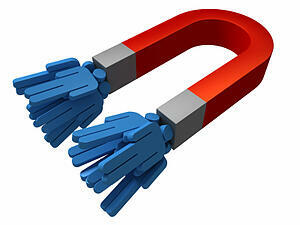 However, consider what criteria some businesses use to measure as the best NYC lead generation company. Number of employees – a lead generation firm with many employees may provide you with a quick human voice on the phone but it does not reflect how effective the company can be with technical skills, marketing capabilities, creativity or the proper online implementation and analysis tools. Many locations – lots of locations can be helpful if you have numerous geographic areas to focus your marketing efforts. But not all businesses need a lot of dispersed offices for online marketing purposes. Large revenue numbers – if a marketing firm brags about their revenue as a reason for doing business, this should raise a red flag. This may mean the company charges a great deal or has many add-on fees to boost their own revenue without necessarily helping your business to succeed. Online presence - for any company that offers online marketing services, that marketing company should have an online presence. Look carefully at their online marketing approach to see if it aligns with what you need for your business. Services offered – large marketing firms may provide everything from print advertising to event coordination. If you are looking strictly for lead generation you may online need a firm that can focus on that one aspect of marketing and use online tools to achieve success. Fee structure – look for a marketing partner that is willing to work with you and within your specific business marketing budget. Many large firms have set fee structures that cannot be modified. Find a lead generation company that sincerely wants to help your business to succeed. Online marketing includes SEO, PPC, social media, content management, email, web design and more. In NYC you have many choices, but the top firm for your business will be unique based on your specific company goals. For more information please call us directly or click the button below and we will contact you. Thank you. All businesses must carefully manage their expenses in order to stay afloat in today’s economy. When looking for an effective lead generation company, one important factor is the costs involved. You do not have to pay a tremendous amount of money to get quality leads. Instead, you should look for a lead generation company that brings you value. What is their methodology? Does the marketing company have a defined set of steps they take in order to manage lead generation? Do those steps align with your business marketing strategy? Do they understand your business? As part of the methodology, does the marketing firm take time up front to understand your specific goals and objectives before trying to sell you other services? How are lead generation services selected? There are multiple services that the firm could offer including SEO, content development, social media management, email, web development and more. Does the firm offer a “one size fits all” bundle of services, or can they tailor the selection to suit your business? When are metrics and analytics used? Make sure your marketing partner has a defined set of key performance measurements set as goals and there are regular reports and reviews to make sure those metrics are achieved. For example if your goal is to increase your qualified leads by 10%, be sure the firm clearly understands the starting point and when you expect to achieve this goal. Is there fixed pricing or variable pricing? Some businesses may want to pay a set rate each month for lead generation services. Others may want to use variable pricing based on the services selected. Discuss the options with your marketing partner and determine which is right for your business. For more information please call us directly or click the button below and we will contact you. Thank you.